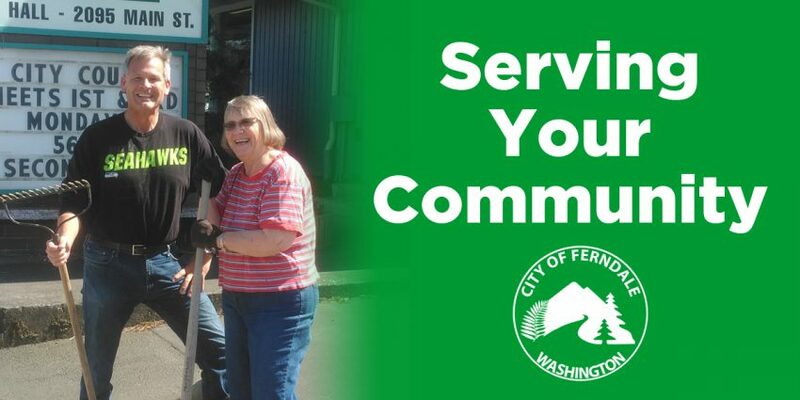 There are numerous ways residents of the City of Ferndale can participate to help enhance the community they live in. One such way is volunteering to serve on city advisory bodies that help forum public policy and make Ferndale a prosperous place to be. We currently have an opening on the Parks, Recreation and Trails Advisory Board (PRTAB), the Arts Commission and there is anticipated to be an opening on the Planning Commission. If you are interested in serving on one of these bodies, please fill out the Boards and Commissions application and submit it to City Clerk Susan Duncan. You can find the application here. All these meetings are open to the public. Appointments to these advisory bodies are made by the Mayor and confirmed by the City Council.